Waste aerosols (UN No. 1950) are generally exported from Ireland for reprocessing/ disposal, and must therefore be carried by road in accordance with the provisions of ADR and by sea in accordance with the IMDG Code. A. Waste Aerosols with their original caps in place may be carried in accordance with limited quantity (LQ) provisions. B. Waste aerosols that do not have original caps in place may, in certain circumstances, be carried in accordance with LQ provisions and under ADR special provision 327. C. Larger quantities of waste aerosols (more than 30kg), that do not have original caps in place, may be carried under ADR special provision 327. D. Waste aerosols which are severely deformed or leaking, must be carried in salvage packaging. 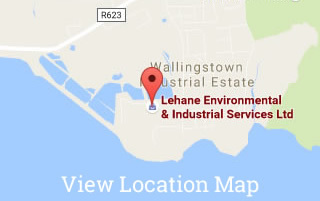 Lehane Environmental is a specialist provider of Hazardous Waste Management and has a number of inhouse DGSAs to advise on how waste aerosols should be packaged. We would advise all companies to consult with their service provider prior to packing aerosols for disposal to ensure the correct packaging format is used.